WEST COVINA — West Covina Buddhist Temple invites everyone to its Obon Festival, which is scheduled for Saturday, June 25, from 1 to 9 p.m. at East San Gabriel Valley Japanese Community Center, 1203 W. Puente Ave. in West Covina. The festival features bingo, games for kid, taiko, martial arts, cultural exhibits, and a variety of food, including sushi and teriyaki. 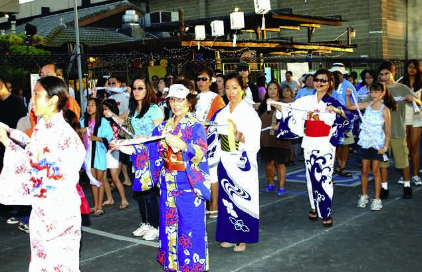 The Bon Odori, which begins at 7 p.m., is a celebratory group dance that symbolizes the world of oneness that is the goal of the Buddhist teaching. The final dance practice will be held on Tuesday, June 21, from7 to 8:30 p.m. at ESGVJCC. For more information, call (626) 689-1040, email [email protected], or visit www.livingdharma.org or www.facebook.com/westcovinabuddhisttemple.